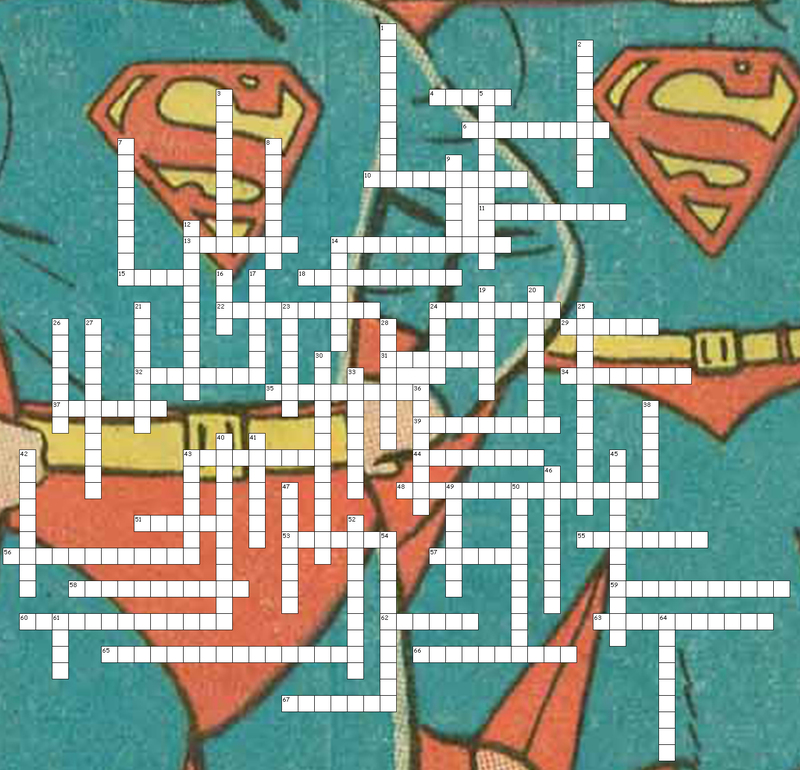 DC Secret Identities Crossword Puzzle. The clues are the secret identities of the answers. 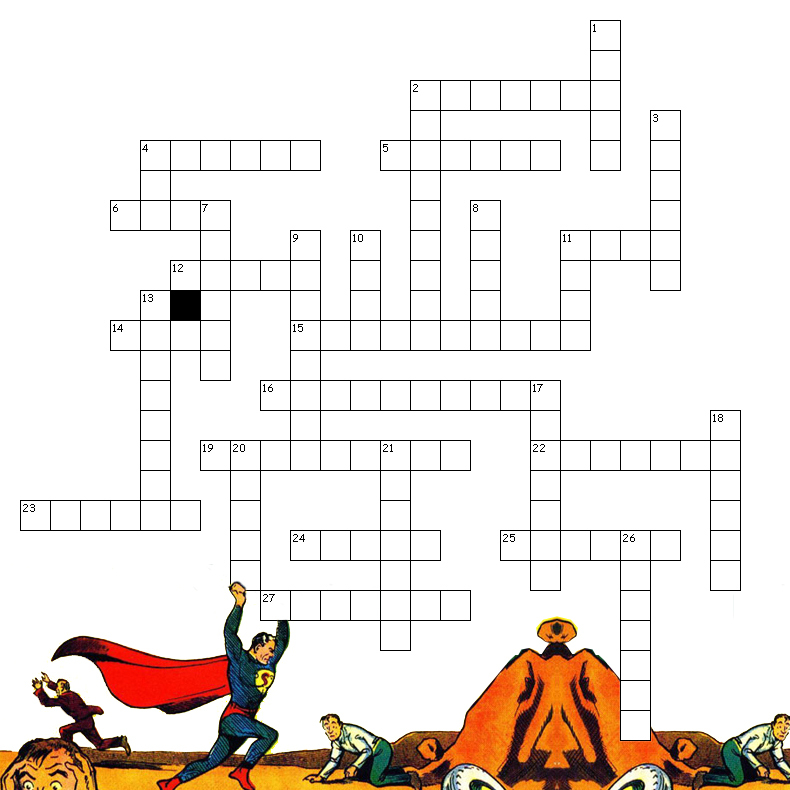 Some of the answers are heroes from the DC Universe. 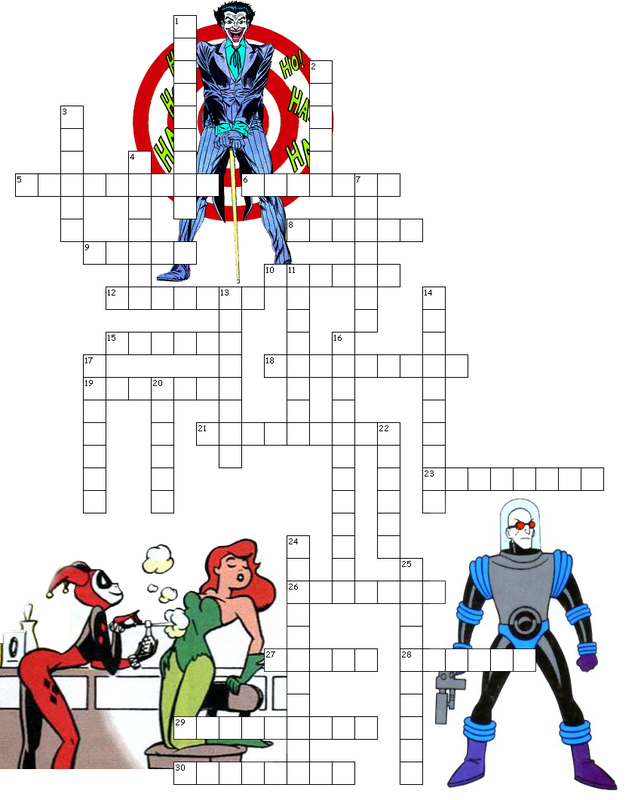 Some of the answers are villains from the DC Universe. Some of the answers walk the line between hero and villain. I hope you find it challenging and fun. Don’t let it consume you so much that you forget to tend to yr. responsibilities, letting yr. lawn grow out of control while the family pet starves and yr. children are introduced to hard narcotics by one of their co-stars a poorly crafted adult film. Just print her out. Grab a pencil. Have some fun. Don’t bring shame upon yourself. Bruce Wayne comes from a very _____12 across___________ family. His _______6 across__________ loved him very much. One day, when Bruce was very young, his parents took him to the ____7 down______. When they left, a ____20 down______approached them and demanded their money and Bruce’s mother’s ______23 across_______. 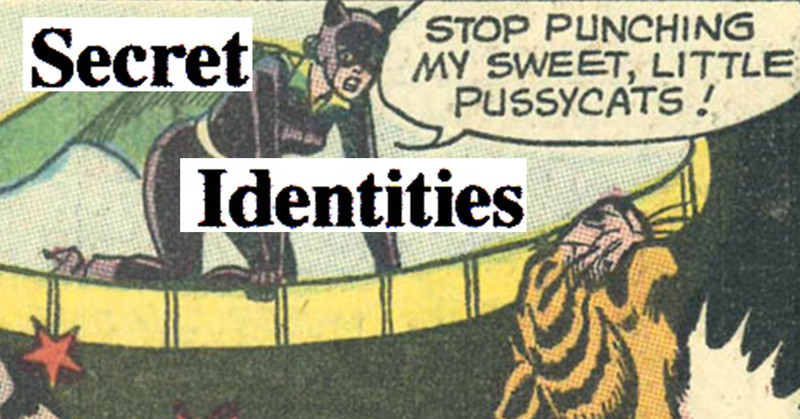 The thief had a _________3 down___________ and shot both of Bruce’s parents. They died and Bruce became an ________15 across__________. 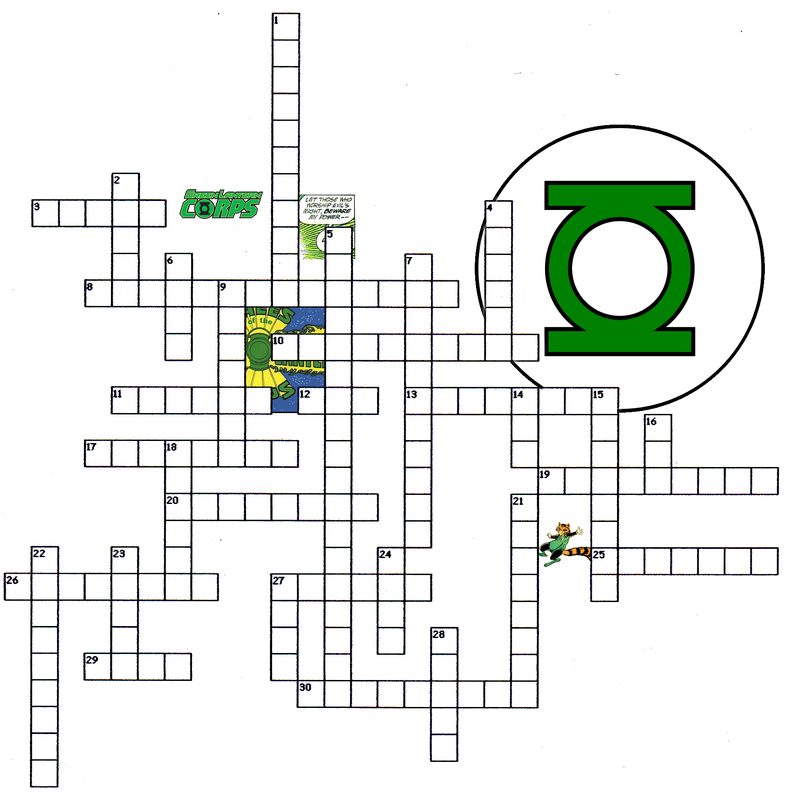 Bruce’s butler______28 across________ became his _______29 across________. Bruce missed his parents very much and felt ______27 across_______ about the crime in _______25 down_____________. Bruce decided to use his _____9 across_______ and energy to fight crime as the Batman. He is not a member of the_____2 down________, but sometimes he works with them. Because he is rich and _______13 down_________, he attracts many women and has many girlfriends. However his crime-fighting keeps him from _____16 down (two words)________. 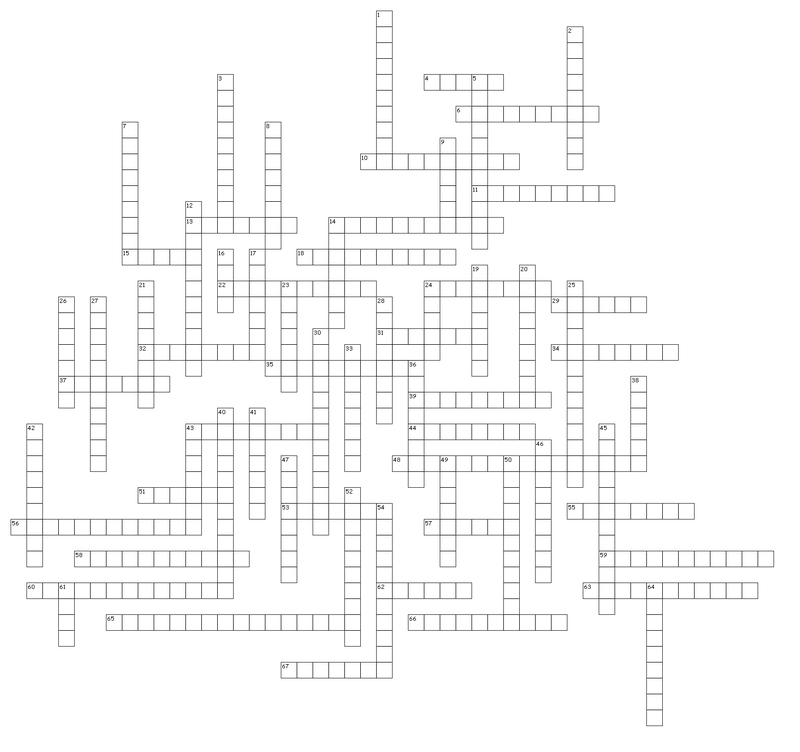 He has no parents and no wife, but his life is not __________8 across__________. When Bruce meets a talented young boy, he will often _______10 across_______ him to live in his ______26 across_______ and train to fight crime alongside Batman as Robin. Batman may have many friends, but he also has many ______19 across__________. The criminals that Batman encounters are very ________4 down_________. ______1 down (two words)____ is a woman who can _______24 down_______ with plants and flowers. Her kiss allows her control over men’s minds. They become her ______22 down_______. Another villain that Batman often faces is Oswald Cobblepot. He earned his __11 down__ because he walks like a _______17 down_______. Most people use _______21 across_______ to protect them from the rain, but he uses them as weapons!